Charles Mwaura, PS Housing - Lets Talk Affordable Housing!! You must be a member of the Nairobi Professional Networking Group to attend this activity. Would you like to join this group? This is quite a while away but prepare your questions just the same. The PS and I go way back from our days in South Africa. He is brilliant, hard working and I know he will do his level best to achieve this goal. Please purpose to be there. See an excerpt below from The daily Nation. 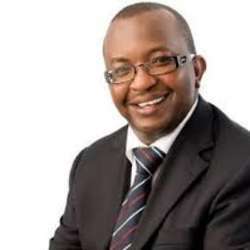 Mr Charles Hinga Mwaura was hardly known in Kenya when President Uhuru Kenyatta named him Principal Secretary for Housing, Urban Development and Public Works in February this year. Mr Hinga was headhunted from South Africa where he has been helping public agencies to implement landmark mega-infrastructure projects in urban areas via public-private partnerships. His job is cut out for him in his new role. Unlike in South Africa where projects are completed in time, he is now in charge of a department where project delays are an excuse to seek increased budgets and steal public money. He will need all the expertise and experience he has gathered in South Africa to help the President achieve his legacy. In his second and last term, President Kenyatta has identified four legacy projects, dubbed the Big Four Agenda, he wants to achieve for Kenya. These are food and nutrition security, manufacturing, universal health care and housing. In the housing agenda, the aim is to construct 200,000 affordable housing units a year and hence one million in five years. It is this that Mr Hinga will oversee. In an exclusive interview with the Sunday Nation, the 42-year-old father of two gave the impression that he is under no illusion about the massive scale of work that awaits him. His resume shows he is a go-getter. Despite his humble origins, he rose to the highest ranks of a very competitive corporate world in South Africa. Mr Hinga, who went to South Africa in Protected content , says the contrasts and similarities between the African economic giant and Kenya are clear to him. “South Africa is a resource-based economy. They have a lot of money from their minerals. The level of corruption cannot be understated just like in Kenya, but unlike in Kenya, projects get delivered on time. Here a project — and I can give you the example of Westlands market — which was supposed to take seven months to complete has taken over 10 years. From where I sit, this is totally unacceptable and we have got to change course as the delays are not in the public interest. We must import some private sector discipline where projects are originated and completed within timelines to give Kenyans value for their money,” he said. The affordable housing promise is anchored on 200,000 units of low cost homes a year which will be defined by supply, demand and an enabling environment. Currently both county and national governments have Protected content of land in Nairobi’s Eastlands district with a combined total of 42,700 houses made up of 17,000 original houses and 27,700 extensions over the years. The project master plan aims to redevelop Eastlands to have 200,000 houses on this land with priority being the current occupants and owners of the houses. Other areas of Nairobi such as Dagoretti are unique as most of the land is privately owned. “The government has come in after realising that mortgages are quite expensive for the ordinary folk and even those who qualify to get them find them unaffordable,” he said. The housing programme, he said, is not just about houses; it is also about creating jobs and bridging the gap of the haves the have-nots. Public participation will be a key element of the project so Kenyans can buy into it. “One of the dangers that we face is that if people are not involved, they will not feel part of the projects once they are complete,” he said. According to a strategy paper seen by the Sunday Nation, the housing project will be based on a demand master plan and mega city approach, a model heavily borrowed from South Africa and the United States. There will be mixed use developments with provision of social infrastructure and affordable developer financing to ensure equity. It will maximize use of private-sector financing with government support on land, bulk infrastructure and other incentives. The government will enter into joint ventures with companies to finance and build the houses, while it provides serviced land, approvals and guaranteed market to the developers. The Kenya Mortgage Refinancing Company has been registered and the regulations are being drafted to be unveiled in February. KMRC’s objective is to help Kenya grow its mortgage finance market for affordable housing by providing medium and long-term liquidity to mortgage lenders. It has been incorporated as a Private Limited Company owned by commercial banks and saccos. In Nairobi, Mr Hinga said, several sites had been identified for the flagship projects. These are Park Road, Starehe, Shauri Moyo and Mavoko. All the lease documents are ready. “We are working with Information Communication and Technology Authority to develop a housing portal where people register to buy houses,’’ the PS said. He said an exhibition of providers of affordable building materials and technology will be held ahead of rollout. In addition, agreements have been signed with eight counties for development of at least 2,000 housing units in each. Talks are on to bring more counties on board. “The review of the Sectional Properties Act is now complete and awaiting tabling in Parliament,” he said. The initial plan will see 1,800 units developed in Park Road, Makongeni (20,000), Shauri Moyo (5,300), Starehe (3,500), Mavoko (5,500), Social housing (15,000), counties (48, Protected content Nairobi County (67,800). The National Housing Development Fund (NHDF) will be the bulk housing aggregator and off-taker. “The online housing demand portal will mitigate developer market risk, which will significantly boost the supply of housing units at scale and lower developer financing costs. Houses will be allocated to those who need them. You will not see wealthy people getting houses as has been the practice in the past to the exclusion of those who need them,” Mr Hinga said. The sale of homes by the NHDF will take three forms: A tenant purchase scheme, cash and mortgage buyers. Through the Fund, pension funds and institutional investors will mobilise long-term local and international funds for the project. “The programme will leverage the government’s limited financial support without further increases to the public debt, but will also leverage huge economies of scale that government brings to the table of more than 700,000 workers. This will be a programme that will show that indeed PPPs can and should work,” he said. The project is expected to generate employment for professionals, skilled and unskilled workers, revenue for the government and opportunities for manufacturers, contractors and suppliers. One of the bottlenecks that the ambitious project is facing is delayed approval process by various government institutions. To address this, Mr Hinga said all institutions that need to approve the projects like National Environmental Management Authority, National Construction Authority and others will establish a one-stop shop that will allow for seamless processing. Mr Hinga, who hails from Nakuru County, moved to South Africa in Protected content his parents relocated there as missionaries. A graduate of Kenyatta University and University of South Africa, he was the lead adviser for the City of Tshwane implementation of a bus rapid transport system. The key aim of the project was to provide an efficient and accessible transport system that would be aligned with rail services, thereby reducing traffic congestion in Pretoria. In addition, it was to improve the market share of bus (eight per cent) and rail (seven per cent) which was a reflection of poor services rather than available capacity of the systems. He was also the lead transaction adviser on the City of Johannesburg’s bus rapid transit system. The project was aimed at providing better public transport, reducing congestion on public roads, improving the environment and creating jobs. Before he left South Africa, he was the lead adviser for a project by the Housing Development Agency to assess the feasibility of selected human settlements catalytic projects. The team was tasked with developing a comprehensive financial model that would clearly spell out how investment requirements like bulk infrastructure and service will be financed given the demand for huge capital outlays. The models were to determine the implications to public and private sector financial resources. His other initiatives in the property sector include establishment of a space optimisation strategy and property fund for the City of Johannesburg.